BlueStacks does this not by using any virtual machine as such but by running an emulation of the Android Davlik on top of Windows. While BlueStacks plans to patent some of the technology in its Android emulator, LayerCake, the technique dates back for decades. The most well-known modern emulator is Wine. This popular open-source program, along with its commercial brother, CrossOver, enables Linux, Mac OS X, and other Unix users to run Windows application. 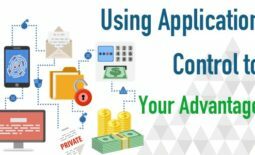 It does this by bridging the gap between the Windows program’s applications programming interface (API) calls and the underlying operating system. 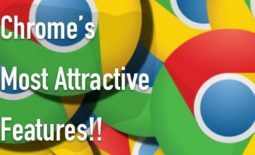 If you’ve always wanted to run all your favorite Android apps on your Windows computer, you’re in luck. 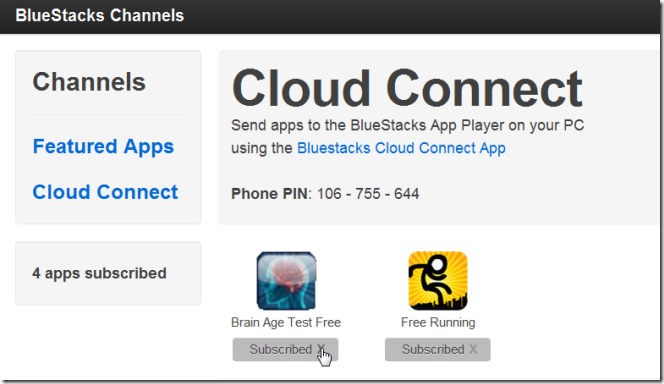 A company called BlueStacks has recently come up with a solution that will allow you to do just that. 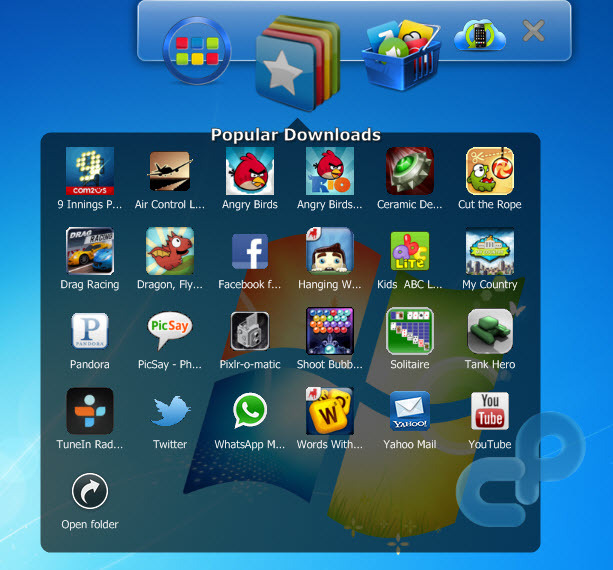 Called BlueStacks, this program for Windows computers will grant you an Android interface for which you can use to run all your Android apps. Designed for laptops, netbooks and tablets, BlueStacks lets users experience the functionality of both Windows and Android without having to purchase two devices – it’s an elegant way to experience the best. 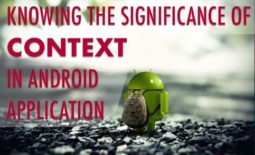 In addition to running Android apps on a Windows computer, data can be shared between both operating systems, introducing a whole new level of functionality to your Android apps. 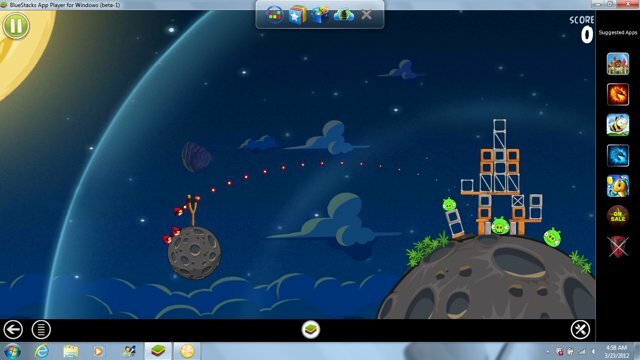 Apps that are run in BlueStacks work with touchscreen, regular mice, and magic trackpads. This means that you’ll even be able to install BlueStacks onto a Windows tablet to run your Android apps from there without a hitch. Like Wine, BlueStacks doesn’t emulate the actual hardware of a device. 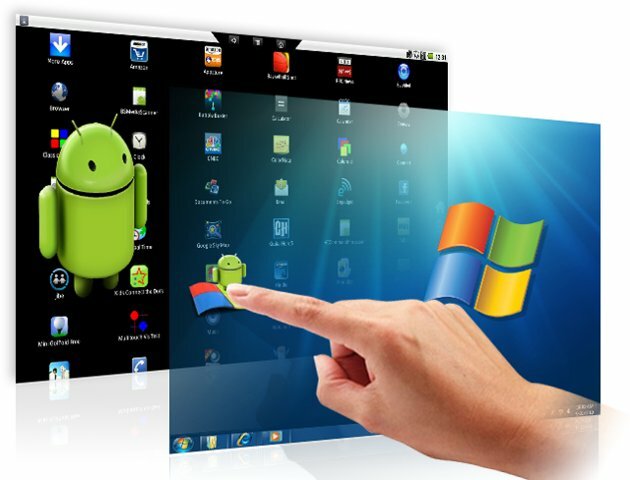 Instead, it emulates just enough of Android Davlik to server as a bridge between the application and Windows’ APIs. 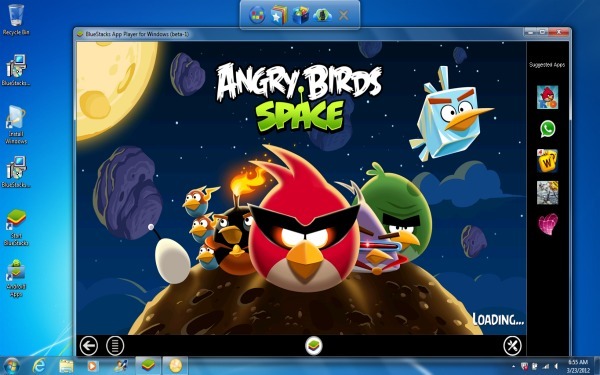 Besides leveraging the Windows device’s processor, be it x86 or ARM, BlueStacks can access the system’s graphics hardware to accelerate the program’s graphics processing. LayerCake also duplicates Android device’s accelerometer tilting in applications and games that utilize it with the mouse or arrow keys. Pinch-to-zoom is also supported on mouse trackpads. 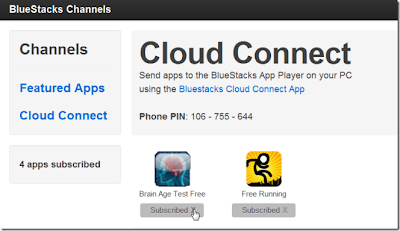 BlueStacks also has a related application, Cloud Connect, which lets you sync Android apps from your phone or tablet to a PC running BlueStacks App Player. While this sounds pretty spiffy—and indeed it is—I have to add that it raises security concerns. True, BlueStacks has its own App Store, but we all know that people find a way to install other applications. Indeed, Cloud Connect, while very useful, is also an easy road for malware. And, in case you haven’t been paying attention, there’s a lot of Android malware on the loose. I can't install this app on my pc as it is showing error 25000 !What to do next ? I'm also nt able to install it in my inspiron laptop…. I think it is due to Ubuntu which is present in my lap…? Is der any solution for it!!! Hey Uday, Using Ubuntu doesn't matter! It must work properly!